6,501 sqft 6 bedroom 5+ bath Custom Home This home has it all 3 master suites, large rock fire place, vaulted ceilings, office/bedroom, sauna/steam shower,family/game room, 2 laundry rooms, formal dining room, gourmet kitchen with breakfast bar, large deck w/auto awning looking toward 1700 acres donated to UofI. Very nice secluded feeling, beautifully landscaped grounds. 2 car over sized garage on main level and 4 car 1200 sqft garage/shop on lower level. Great for a large family or multi-ownership. Custom Mosquito repellent system and full home security system. Extra rooms used for bedrooms or could be used for extra office, craft room or more. Use of Spring Mountain Ranch amenities, pool, hot tub, work out facility, club house and more Super great price for this much home. Furniture Negotiable. 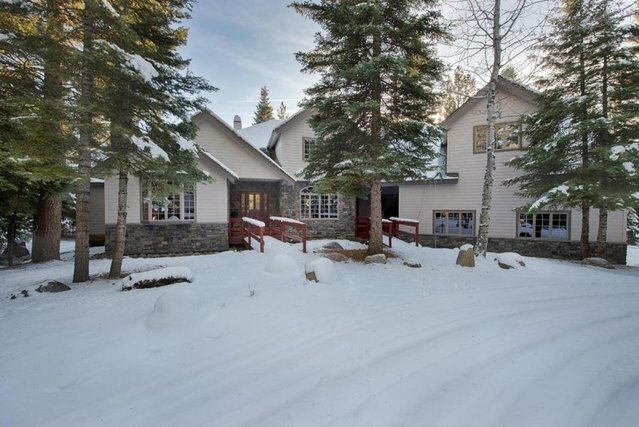 Super private location, yet close to everything in McCall.